My Method centers around 12 Keys for Transformation. These are life-changing tools that I identified as themes repeated in the inspirational stories of 50 women that i interviewed over a two and a half year research study. The 12 keys enabled these women to set their own transformation processes in motion, overcome their fears and doubts, leave restrictive thoughts and limiting beliefs behind, and achieve personal growth toward overcoming difficult situations. “Open Yourself to Transformation” is an empowering book that tells 30 stories of ordinary women who changed their lives by learning and connecting to simple yet powerful, tools. 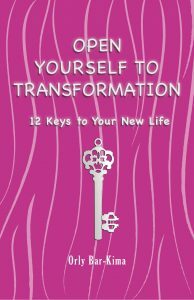 The book’s 12, easy-to-read chapters each focus on one transformational key for life, giving inspirational examples and practical tools to help you transform your own life using the keys – just as they did. Lectures and workshops : “The Keys for Transforming Life” TM is a 90-minute experiential lecture that inspires, empowers and motivates toward action using the 12 Keys as new tools that can help anyone interested in growing and generating change. 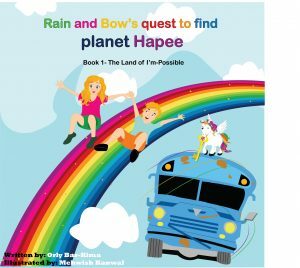 It intertwines my story of personal and emotional change, spiritual growth with the stories of other empowered women stories. All lectures and workshops are available in English or Hebrew, in Israel and abroad. 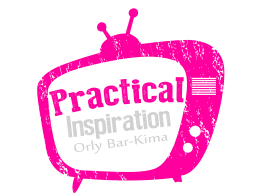 TV Show – “Practical Inspiration”– International TV show with Orly Bar-Kima, a journalist, an author, life-coach and a public speaker, is hosting teachers, healers, mentors and spiritual leaders and masters from all over the world. Her vision is to create space for inspirational stories, and teach practical tools, to raise consciousness and share the messages of Freedom, Love, Peace and Unity in the world. I am the owner and founder of “Practical Inspiration” a company that specializes in life coaching, lectures, workshops and seminars focused on personal development through my unique method: “Transformational keys for Life” . 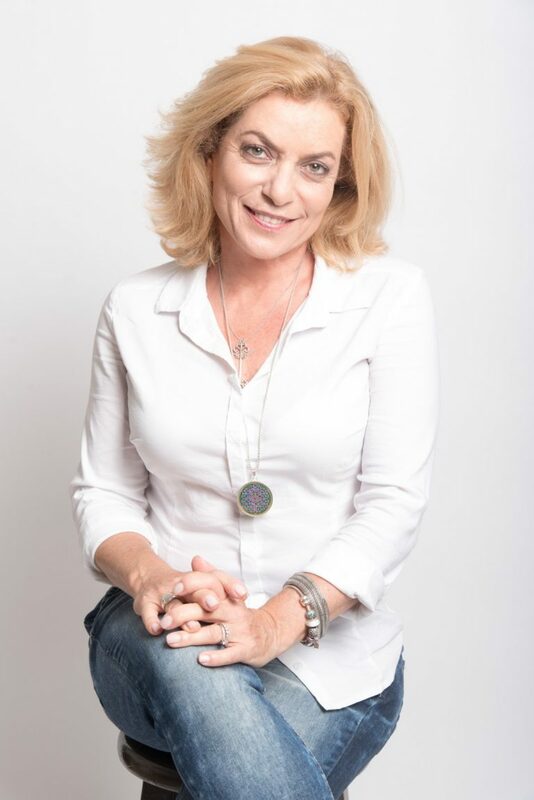 I became a life coach after a decade working as a journalist in the Israeli media. Today, I am a certified coach and member of the Israeli Coaches’ Association. I facilitate a weekly radio talk show on Best Life Radio, host the “Practical Inspiration Show”, and write articles for Another Life Magazine. My specialties include coaching women toward personal transformation, group trainings, and using unique listening and communication techniques from the Institute for Global Listening and Communication. I am also a certified NLP practitioner and a student of “Course In Miracles” . I hold a BA in Political Science from Tel Aviv University. I am married and a mother of three boys, as well as a sister, friend, and daughter. I enjoy painting and writing, practicing yoga and am an avid reader.